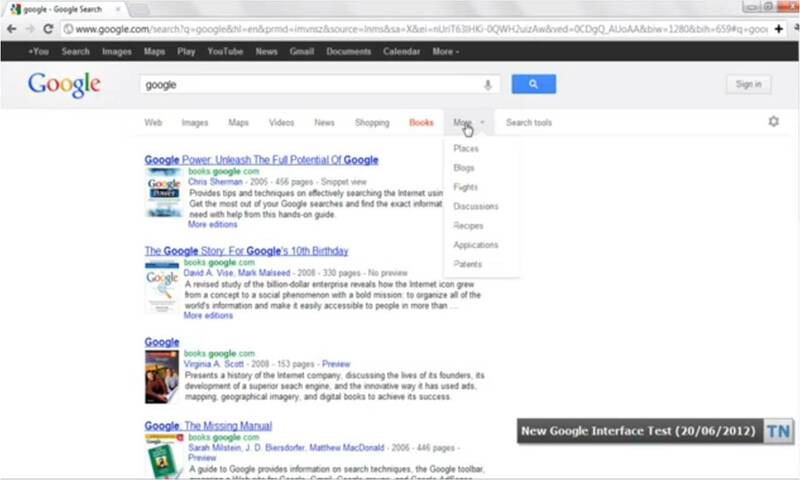 Techno-Net Page has posted a video of Google Search site’s new interface; however they didn’t specify how they found this video so I can’t say exactly about the new interface. 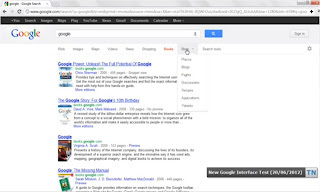 The video shows Google interface is very simple and intuitive, the biggest change is that the toolbar has been moved from the left side to top of the screen, below the search box. Instead of lying on the left side as the present, the tool button as image search, blog, news ... posted to the top. Advantages of this approach are to make it easier to see these buttons and manipulate them quickly without having to drop a mouse too far to the left edge of the screen. But it also has disadvantages that make the results show a shorter range significantly. Since most of today's computer monitors are wide screen, has the advantage of placing horizontally so that the buttons on the left side will take advantage of more space to the above.